Buffalo's police commissioner and the union representing the officers are at odds over the latter's proposal to step up the firepower for patrolling officers. Both sides brought their opinions to Common Council Chambers on Tuesday. The Council hosted its first Police Oversight Committee meeting of the year. Among the items on the agenda was the Police Benevolent Association's request for higher-powered firearms, such as AR-15 rifles. 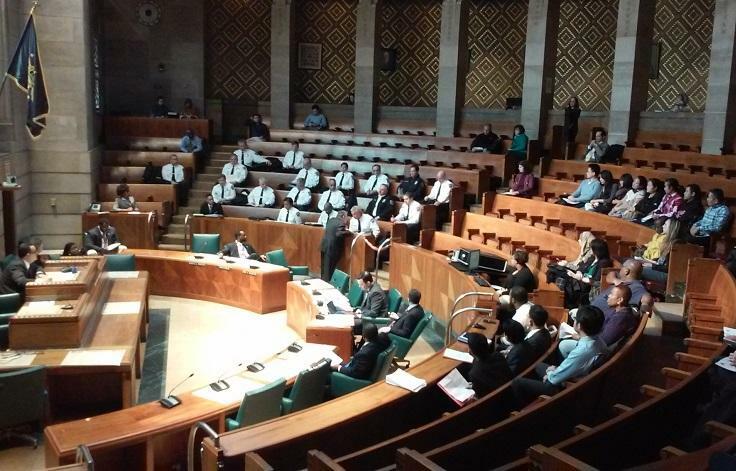 Police officials and citizen groups were both well-represented at Tuesday's Buffalo Common Council Police Oversight Committee meeting. Among the items on the agenda was the Police Benevolent Association's push to arm patrol officers with assault rifles. "What we're looking for is our patrol officers to be equipped with a weapon that would be able to engage a longer-range threat, in the event of, God forbid, a terrorist attack or a mass shooting scenario where you can engage further than 50 yards or 100 yards." said John Evans, first vice president of the PBA. Evans told reporters after the committee's meeting that officers are currently equipped with Glock .40 caliber pistols. They do not, he added, carry tasers. The union estimates the cost of arming an estimated 500 patrol officers with assault rifles would be around $700,000, or about $1,400 per officer. Commissioner Dan Derenda, who addressed the PBA's proposal and other items during the committee meeting, said he and administrators are still looking over the union's request but he feels there is no need to arm his patrol officers with military-style assault rifles. "I believe we are covered with our current strategy and our current operational plans," Derenda said. SWAT officers are armed with weaponry even more powerful than what the union is seeking for patrol officers but Evans expressed concern over the time needed to mobilize that unit. He estimated it could take up to an hour to get them organized and to a scene. Derenda would not offer details about police strategy but again expressed his confidence in current procedures. "We are prepared for any situation that takes place out there," the commissioner said. "I won't go into operational details, but at this point I'm not inclined to issue every officer an AR-15 military assault rifle." 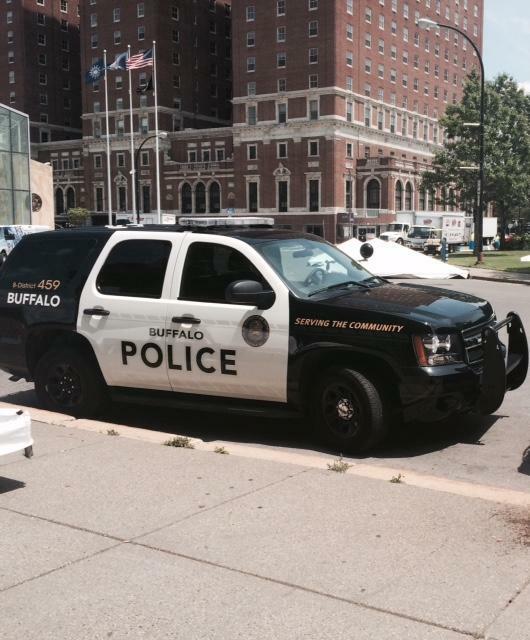 Buffalo Police officers are another step closer to a new contract. Members of the Buffalo Police Benevolent Association have ratified a tentative contract with the city by a six-to-one margin. As Buffalo Police District Chief Brian Patterson talked to a group in the West Side Community Center yesterday, he stopped frequently to allow interpreters in both Karen and Burmese to speak. The moment showed the growing influence of immigrants in the city.